A digital radio station devoted to playing the kind of songs you probably wouldn't want to admit to enjoying is seeking funding in order to expand. 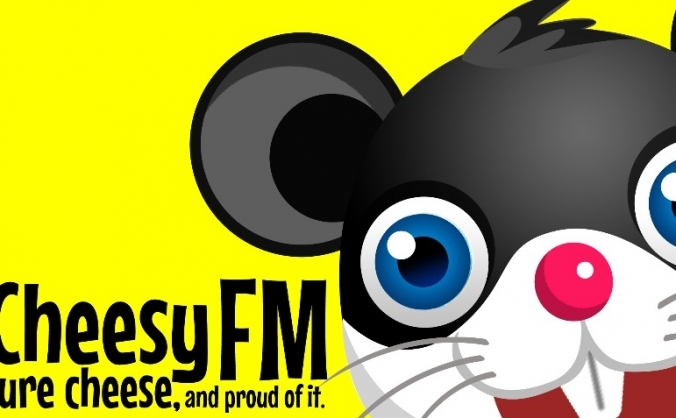 Cheesy FM, which took slots on DAB multiplexes serving Manchester and Portsmouth, has now taken to funding website Crowdfunder to raise £20,000 to help it expand. The station happily plays Culture Club, alongside Doris Day, The Dallas TV theme tune, followed by Kylie, Duran Duran and Madonna. At the time of publication, 25% of the money required has been raised. Members of the public can pledge as little as £1. The station says it's been stunned by the interaction from users and the number of people downloading the station's app, allowing them to listen outside of the station's DAB coverage area. Having identified a niche in the market, Cheesy FM says that the funding will "help in our David vs Goliath battle."